A few months ago, I made a long-distance move, and the state of Arizona and the federal government didn’t like the fact that I’d stopped using my first name. This necessitated a second try to get my new driver’s license. Everything had to agree (post 9/11, I suppose) with my passport, which was based on my birth certificate. Yes, with that “old” first name. Honestly? It was a weird experience, as if I’d suddenly reverted to being that child from decades back. I still use my middle name Leigh for most other things, but it’s like I now have two identities instead of one. Thank goodness, fiction is simpler. Most of the time. Spending a few—or many—hours trying to find the perfect name for a new character, like naming a real baby, can be fun, although I’m not always in control there either. In a cowboy book some years ago, I called my heroine Erin. A friend didn’t like that name, so I considered changing it, but guess what? 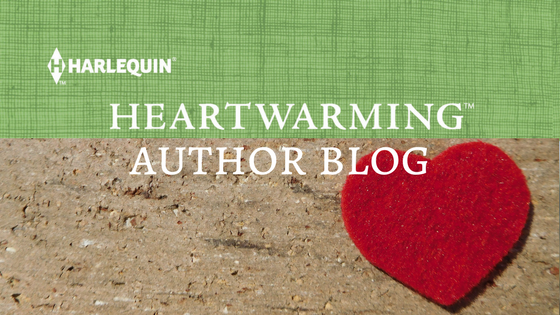 Erin had actually named herself in the very first sentence I wrote, and she wasn’t about to give it up—or the hero, her estranged husband. In other people’s work, I’m somehow drawn to antagonists’ names. Cruella de Vil. Hannibal Lecter. Scrooge, although he gets redeemed in the end, and then there’s Smee, my personal favorite character name, good or bad, which always makes me smile. I’m glad their authors chose them. In sweet romance nasty villains don’t crop up much, but I just finished writing the newest book in my Kansas Cowboys series in which the now-hero, Hadley Smith, was the bad boy in the previous novel. He already had that name, but obviously, before he deserved his HEA he needed to be reformed, and he’s helped in that as a single dad with twins. How could I hate this guy? The book comes out in December. 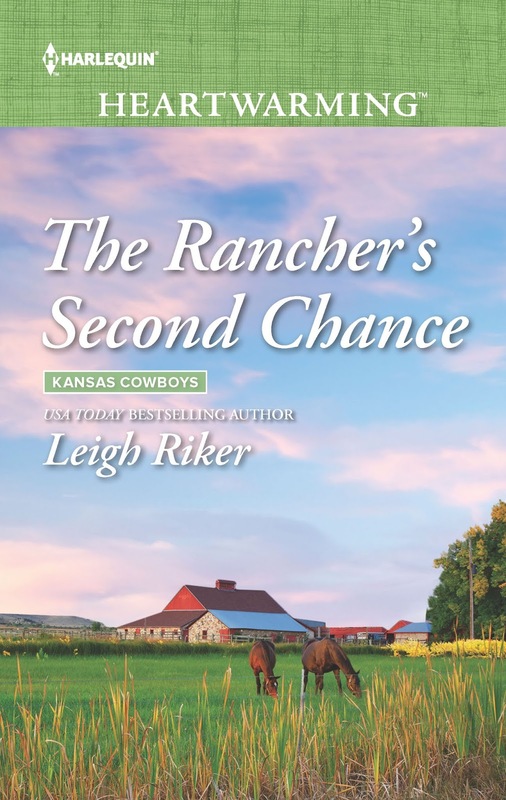 In the meantime, the next in the series before that, THE RANCHER’s SECOND CHANCE, will be available in May. Take a look at this cover for Nell and Cooper’s story. It’s very different from the others, and I really like it too. In full disclosure, I chose ALL the names in these two books—if not, as it turned out, my own! My husband uses his middle name, too, and what adventures that's taken us on! 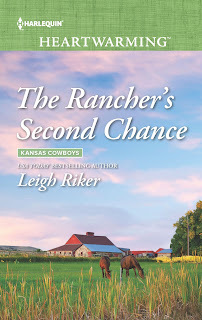 I love your new cover, Leigh! Thank you, Liz. I thought the cover relates well to the story. Does your hubby get any flak for using his middle name? I didn’t until recently. Occasionally, someone will insist on the whole thing. I think it's on his passport. I liked the story of your name, Leigh, and how the first name came back years later to haunt you! Your upcoming release sounds great...we all need second chances. Congratulations! And haunt me, it did! 😊 Thanks, Janice. I’m all for second chances too. It seems there was a tradition in my mother's family in the Midwest to use middle names as first names. I was a teenager before I knew my mother had a different first name. When I started writing articles ages ago I used my middle name, Elizabeth, because I liked it so much. It was kind of fun for a while...but I was completely thrown when someone who'd read a couple of my articles called me Liz and I wasn't sure who he was talking about! Big congratulations on your release. Love those second chance stories! That’s a funny story, Virginia. My mom never even had a middle name, which always threw people. But then, there was no confusion either! As someone who never liked my real name, and really didn't like nicknames I spent a lot of my youth keeping lists of names I did like. But when I started to write I couldn't find any of the lists so I bought a batch of "baby name" books that I still use to name characters. Leigh, sorry AZ gave you grief over using what name you are used to on your driver's license. I had a similar issue in TN with Motor Vehicles. Ended up with four names on my license in microprint. They sure knew who I was! Sign of the times, I guess. Do you remember when girls chose cutesie new names in middle school? I spend a good deal of time looking at baby name books when choosing a character's name. Some just don't feel right and I have trouble moving the story along until finding the ones I like. Names help me define the character. Sorry it was such a pain getting your new license in Arizona. Oh, and I like Cruella de Vil's name, too. It’s fun to collect character names. And I agree, for our own writing finding the right one sets the story in motion. Leigh! I read your whole post waiting for you to tell us your "first" name. Lol. I know what you mean though. I was named after my aunt (my mom's sister) Carol Alice. So, she was Carol and I was often Alice or Carol Alice. But, Alice was my grandmother's name so that could get a little confusing, too. Many family members still address me this way. When I was first published, I considered using Alice as my pen name. I'm glad I used my real name for some of these reasons mentioned above. How cool, Carol—or should I say Carol Alice? 😉 All right, all right, my first name is Mona. Loved my mom but that is not my favorite name. Still, there it is. Thank you! Yep, I answer to that. Lol. I think Mona Leigh is beautiful! I like all the names you've chosen, including your own. Nell, especially, is a great cowgirl name. I think one of the reason southerners are fond of double names is to distinguish between generations of the same name, like the father Glen and the son Glen Dale. My father didn't have a name, only initials. I don't know what my grandparents were thinking, but he's not unique. There's a story of a man with only initials who tried to head off confusion when he was drafted into the army and filling out forms. He wrote in "R. (only) B. (only) Smith." He got put into the system as Ronly Bonly Smith. That is hysterical, Beth! In TN I had to include my maiden name which was printed missing one later. My husband still teases me with that. It sounds silly—or did. I got rid of it this time. Sigh. I meant missing a letter. Beth, I've never heard that! What a great story. It reminds me of the scene in the movie Solo where we learn how Han Solo got his name! I knew someone who was using her maiden name professionally, but she filed taxes under her married name, but she never changed it with Social Security, so the IRS made her pick a name. This was in the early 90s. She could still use her maiden name professionally as long as all of the requisite documents had one matching name.